This made my day -- an adorable video of a Nativity play with one of the angels stealing the show. Thanks to AKMA and Tim Gombis for sharing on Fb. I guarantee you'll enjoy it. I got to know Professor Lambert while I was at the University of Birmingham between 1995 and 2005. He was unfailingly gracious and kind-spirited though I must admit to thinking him, at times, a little eccentric. He was a regular in the coffee room in the Arts Building and I remember many interesting conversations with him there. He would always try to get to our Biblical Studies colloquium and on one occasion presented a paper. I used to have to make a special effort to tell him about the colloquium because he never embraced email; everything was done the old-fashioned way. I knew about his Christadelphian affiliations and remember his disdain for a lot of modern medicine, and especially modern drugs. I had not realized until reading the obituary, though, that he was so thoroughly Brummy, born in Erdington, at King Edward's High School in Edgbaston (where many a great classicist studied) and so on. Nor did I know that he was a conscientious objector during the war. His knowledge of ancient eastern history could not be bettered and in January 2010 Prof Lambert and colleague Dr Irving Finkel identified pieces from a cuneiform tablet that was inscribed with the same text as the Cyrus Cylinder, a clay artefact dating from 6 BC praising the rule of Babylon monarch King Cyrus The Great. It should, of course, be the 6th Century BC. Details about that discovery are found in a press release at the British Museum (scroll down to 23 January 2010). Thanks to Stephen Carlson, Judy Redman and Trevor Hawes for posting this on Fb. It is compiled by the ever-impressive Deane Galbraith and it is as lively as you would expect. I am now proud to have met Deane, sadly only very briefly, in San Francisco last week. The term Matthew effect was cooined by the Columbia University sociologist Robert K. Merton (1968a) to refer to the commonly observed tendency, noted above, for initial advantages to accumulate through time . . . In his pioneering studies of prestige systems in scientific communities, Merton demonstrated that prestigious scientists and institutions tend to attract inordinate attention and resources, leading to the further accumulation of prestige, which in turn attracts further resources (Daniel Rigney, The Matthew Effect: How Advantage Begets Further Advantage (New York: Columbia University Press, 2010), 4). The term has come to be used of occasions where a piece of research, an idea, a quotation, a story gets associated with a more famous, more prominent person. It is called the "Matthew effect" because of Matt. 13.12, "For to those who have, more will be given, and they will have an abundance; but from those who have nothing, even what they have will be taken away." Now what I find delightful about this terminology is that it inadvertently contains within it an example of the very phenomenon it is describing. Matthew has been, since the early second century, the most popular Gospel, the Church's Gospel, and when people quote something that's in more than one Gospel, they invariably quote from Matthew. So a saying that originates in Mark's Gospel (Mark 4.25),* which most scholars rightly take to have been written prior to Matthew, is actually remembered better as a saying in Matthew. It is not the Mark Effect but the Matthew Effect. The better known, more prominent Gospel lends its name to the feature that is thereby illustrated. * See also Matt. 25.29, Luke 8.18, Luke 19.26. "The Dalai Lama, when asked what surprised him most about humanity, answered, ‘Man. Because he sacrifices his health in order to make money. Then he sacrifices money to recuperate his health. And then he is so anxious about the future that he does not enjoy the present; the result being that he does not live in the the present or the future; he lives as if he is never going to die, and then dies having never really lived.’"
"This quote, printed over a photograph of the Dalai Lama, is floating around on Facebook. It is inspiring millions of simple-minded Facebookers — but there’s a problem. HE NEVER SAID IT! There is no record of the Dalai Lama ever saying this and on his website there is no mention of it. Devout followers of the Dalai Lama say it is not true, but we live in the day where all one needs to do is put something up on Facebook and it becomes the law of the land — at least where idiots are concerned." 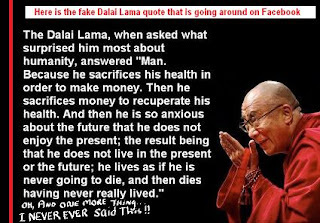 I am no expert on the Dalai Lama but the case presented by the Damien Zone sounds plausible, and certainly a good deal more plausible than the simple pasting of a quotation next to the picture of the Dalai Lama. Now of course if the Dalai Lama did not say that, how might the analogy help us with historical Jesus research? Or any research into great figures of the past? Misattributions of quotations to Winston Churchill are famous and even in our own area, there is a great misattribution of a saying to Schweitzer (about looking into the well) that was actually said by George Tyrrell. I must admit that the ease with which misattribution like this can happen within someone's lifetime, as well as not long after their death, reminds us of just how perilous it is to build a picture of the historical Jesus that crudely assumes historicity for sayings material, screening the Gospel sayings and parsing them down to the nth degree to find nuances in what he said. Imagine the historical Dalai Lama scholar in two thousand years with this multiply attested saying that emerges during the great man's own life time. What if the dissenting voices like the Damien Zone's get lost but the apparent witnesses to the saying remain? Every now and then a helpful analogy comes along to remind us how precarious the task of historical Jesus research can be. Bart Ehrman "something of a superman"
It's official -- Bart Ehrman is "something of a superman when it comes to scriptural studies", at least according to a review of his co-edited volume, with Zlatko Plese, The Apocryphal Gospels, in the LA Times, with thanks to Jim Davila for the link. A former student of mine, Jon Rainey (MA Religion, Duke, 2009), has put together an excellent bibliographic essay on Jesus films, ideal for those who require a little guidance on this topic. It reminds me that I really ought to resurrect my Jesus Film pages. It's available, free to all, from the link above (PDF). Thanks to Alan Bandy, Sean Winter, Mike Bird and others for the notice. Both obituaries mention his habit of doing his NT research from 10pm to 2am each day. Among a thousand things I have missed while I have been away is Jim Davila's appearance on KGO Radio, on Brent Walter's God Talk. Luckily, you can catch it as a podcast. (Previous God Talk episodes featuring bibliobloggers here). Thanks to Steve and everyone else involved for putting information out there in such a clear and accessible way. September Biblioblog Carnival: The "Lesser"
September 2011 Biblical Studies Carnival: The "Greater"
I must admit that I don't know / can't remember / can't work out who is behind Scotteriology, and the about page doesn't help me much, but many thanks for helping those, like me, who have not been around the blogs at all in September and can catch up with such an entertaining digest. Sam Cooke, "Touch the Hem of his Garment"
Faith in Romans: The Salvation of the Individual or Life in Community? So says Craig Evans in the first of a series of posts on the Future of Historical Jesus Studies over on Near Emmaus. I am pleased to hear this. I have been in favour of abandoning "the third quest" of the historical Jesus for some time (see also NT Pod 49: What is the Third Quest of the Historical Jesus?). The term has been a tough one from the start, but became increasingly so as the 1990s progressed. But let's please not start talking about "the fourth quest" or any similar terms. Let's just talk about historical Jesus research and have done. One of the disappointing things here is the lack of reference to the earlier article by Robert Pigott, which needs explicit correction. After that article appeared on 29 March, I wrote a friendly email to Robert Pigott (5 April) explaining that the consensus among experts was that the codices were fakes, and offering to point him in the direction of some clear, helpful blog posts and articles by experts. He never replied. Nevertheless, progress is progress even if it is done in this way by a different writer apparently unaware of previous mistakes. Update: further comments from Tom Verenna. The Giant Jesus and the Walking-Talking Cross. Remarkably, the Gospels of the New Testament do not tell the story of Jesus emerging from the tomb on Easter morning. But the Gospel of Peter does. In this text, discovered near the end of the nineteenth century, Jesus comes out of the tomb as tall as a mountain, supported by two angels, nearly as tall themselves. And behind them, from the tomb, there emerges the cross, which has a conversation with God in heaven, assuring him that the message of salvation has now gone to those in the underworld. How a Gospel like this was ever lost is anyone’s guess. The quotation actually illustrates splendidly one of the reasons that I offered in my recent conference paper for suggesting that a conjectural emendation is required here. The paper was called "A Walking, Talking Cross or the Walking, Talking Crucified One? A conjectural emendation in the Gospel of Peter 10.39, 42" (Abstract). The paper was based on a blog post from last year and in due course, I will be expanding the paper for publication. There are certain advantages that this reading brings. There are advantages both to the broader narrative context and the pericope itself. With respect to the broader narrative, now it is no longer the case that a cross emerges from a tomb that it never entered. With respect to the narrower context, it overcomes the incongruity that the three men all stretch as far as – or beyond – the heavens, but the voice from heaven then addresses the cross back on earth. In the revised reading, the voice in heaven directly addresses the crucified one, who is beyond the heavens. Moreover, on the usual reading, the witnesses should be able to see the cross speaking, so there is no need for the note that they “there was heard the answer, 'Yes'”, a line far more appropriate to the reading with the conjectural emendation. On this reading, they only hear the answer because it is the crucified one speaking, and his head is beyond the heavens. Further, the conjectural emendation removes the extraordinary situation whereby Jesus is upstaged, at his own resurrection, by his cross. My chat with Brent Walters on KGO Radio's God Talk is now also available online, either to listen again or to download. It's a phone conversation so don't expect studio audio quality at my end. It's a general chat about the business of interpreting the Bible. The programme is on every Sunday morning, and this segment is the third hour on Sunday morning, 24 July. 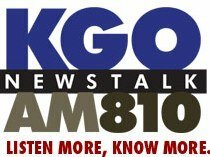 I'm going to be Brent Walter's guest on God Talk on KGO Newstalk 810 San Francisco this morning, at about 7am their time, 10am EDT. We'll be chatting about the interpretation of the Bible. I wonder if, in time, with the proliferation of blogs, we will see more people trying to label their blogs with titles beginning with the letter "A"? If you use a reader and have not done your own sorting, the blogs you subscribe to are likely to appear in alphabetical order. So in my reader, which sorts alphabetically, "A 'Goula Blogger", often pops up at the top of my list and gets read first. If there is anything on "Abnormal Interests", that is also likely to be read quickly. So too AKMA's Random Thoughts. If, on the other hand, your blog begins with "Z", that drops right down any list ordered alphabetically. So if you were to label your blog after a Swiss reformer, for example, it might run the risk of getting read later than everything else, and some time after fatigue has set in. What I am wondering is whether we may, in time, see the equivalent of the Yellow Pages phenomenon of "Aardvark Double Glazing". Perhaps an "Abba Aramaic blog"? Or an "Aaron 's Pentateuchal Thoughts"? Further to my thoughts about the contradiction between "multiple attestation" and "embarrassment" in Historical Jesus Research, I'd like to throw out a related thought that I think compromises the value of the "multiple attestation" criterion. Sometimes single attestation might in fact be a far better indicator of historicity than multiple attestation. Mark is often rightly seen as more primitive in its representation of Jesus in comparison with Matthew, Luke and John. There are moments where Mark provides a rough witness to an earlier stage of the tradition, where single attestation is a better indication of historicity than multiple attestation would be. Where Jesus heals the Deaf Mute with physical agents (Mark 7.31-37) and where he heals the Blind Man of Bethsaida with some apparent limit to his abilities (Mark 8.22-26), these pericopae are not included by Matthew and Luke, no doubt because of the uncongenial picture of Jesus they imply. Here, single attestation is a better indicator of primitivity than multiple attestation would be. To put it another way, is the Multiplication of the Loaves, attested six times in the Gospel tradition, the more likely to be historical than Jesus spitting in the mouth of the deaf mute, which is attested only once? I am aware, of course, that multiple attestation, as it is usually configured, refers to multiple independent attestation, and so one is searching for material that occurs in allegedly independent sources like Mark, Q, Thomas and John. Notwithstanding my scepticism about the existence of Q and the independence of Thomas, the point still stands by analogy between the written Gospels and attestation in traditions, that uncongenial material will often have dropped out, so that some of the more unusual, primitive features will be at best singly attested where they are attested at all. In this context, multiple attestation is actually a weaker indication of historicity than is single attestation. "I can’t help thinking that one cancels out the other. If everyone, Q, an independent Thomas, Mark, Matthew, Luke all have this same material, who is embarrassed about it? The multiple attestation is itself an argument against embarrassment" (W. J. Lyons, “A Prophet Is Rejected in His Home Town (Mark 6.4 and Parallels): A Study in the Methodological (In)Consistency of the Jesus Seminar”, JSHJ 6 (2008): 59-84 (79). It turns out that it's something I once said here on the NT Blog while I was reflecting on an SBL session that used the criteria of multiple attestation and embarrassment side by side. I am grateful to John for drawing attention to the passing comment (and, incidentally, for his article, which is an excellent discussion of the problems with the way that the Jesus seminar uses Historical Jesus criteria) because I think there may be something in it. What other area of the humanities would manage to come up with something so counter-intuitive as criteria that apparently contradict one another? When we are embarrassed about something, do we keep repeating the information? If members of the early church were seriously embarrassed about John's baptism of Jesus, for example, why did they keep repeating it, even celebrating it? Would multiple witnesses really begin their accounts of the "good news" by trumpeting something they all found embarrassing? If a tradition is multiply attested, it is a tradition that on some level the evangelists were proud to repeat. When they were embarrassed about things, they could easily omit them. Chris Brady does an excellent job with the Biblical Studies Carnival for July but he is understandably exhausted after doing it and exhorts everyone to help out with the next one. I understand what Chris means. I have never done a carnival and I am afraid that the task is far too daunting for me to take on. Thanks to everyone who does the job, and exhortations to everyone else to help out. I'm excited to hear of the Public Beta of the Logos Android App which is now available. Relegere: Studies in Religion and Reception is an independent, open-access, peer-reviewed academic journal dedicated to the promotion and dissemination of innovative research in reception history, broadly conceived, within and across religious traditions. There are some fascinating articles in the first edition of the journal, including one by James Crossley on the Life of Brian that is well worth a read. Congratulations to all concerned on this new venture. This piece, from the Independent, says that "the purchase of Continuum from Nova/ Paul Investments Capital was a "transformational step" in its strategy to grow its academic and professional division". More here in The Bookseller. Volume 130, Number 2 / Summer 2011 of Journal of Biblical Literature is now available on the jbl.metapress.com website at http://jbl.metapress.com/content/grg701553h13/. Does περιβόλαιоν Mean "Testicle" in 1 Corinthians 11:15? I've just noticed, after receiving a comment over on the NT Gateway, that biblioblogs.com is now defunct. Has anyone archived the site and uploaded elsewhere? Galatians 5.11: Evidence of an Early Law-observant Mission by Paul? Why Did the Early Christians Call Themselves ? Talking of number 1 blogs, it seems that these days there is a kind of voting system for blogs too -- May 2011 Top Ten Biblioblogs. Unsurprisingly, the winner there is James McGrath. But coming in at a very impressive number 7 is April DeConick. It's impressive because it's on the basis of a mere four posts in May, compared to Jim West, at number 10, who posted a record-breaking four million, eight hundred and fifty thousand, three hundred and twenty two posts in May. Update (Thursday, 9.51): Chuck Grantham comments, over on A 'Goula Blogger. The new version of the Bible Gateway launched last week. It's been on the web for an age. In fact, when I started my NT Gateway back in 1997, it was one of my first links. The new version includes something that will be of interest and use to Bible scholars, another quick and easy way to access the SBL Greek New Testament. Short papers will be read in simultaneous sessions. To offer a paper, submit a 200-word abstract by September 1, 2011 to: b.gaventa@ptsem.edu. For further information, vistit the Romans Conference web page. 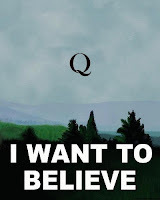 Q: Do you want to believe? Courtesy of C. J. Schmidt over on Question Assumptions. It's tough being a sceptic. Norton-Piliavsky places Paul's work within the context of ancient Jewish literary practice, bridging the gap between textual criticism and social history in contemporary discussions. The author argues that studies of ancient Jewish exegesis draw on two distinct analytical modes: the text-critical and the socio-historical. He then shows that the two are usually joined together in discussions of ancient Jewish literature arguing that as a result of this, commentators often allow the text-critical approach to guide their efforts to understand historical questions. 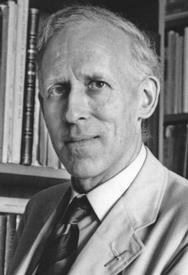 Werner Kelber's The Oral and the Written Gospel substantially challenged predominant paradigms for understanding early Jesus traditions and the formation of written Gospels. Since that publication, a more precise and complex picture of first-century media culture has emerged. Yet while issues of orality, aurality, performance, and mnemonics are now well voiced in Synoptic Studies, Johannine scholars remain largely unaware of such issues and their implications. The highly respected contributors to this book seek to fill this lacuna by exploring various applications of orality, literacy, memory, and performance theories to the Johannine Literature in hopes of opening new avenues for future discussion. Bird analyzes the construction of wives' subjectivity in 1 Peter, working primarily with that is referred to as the Haustafel (household code) section and engaging feminist critical questions, postcolonial theory, and materialist theory in her analysis. Bird examines the two crucial labels for understanding Petrine Christian identity - 'aliens and refugees' and 'royal priesthood and holy nation' - and finds them to stand in stark contract with the commands and identity given to the wives in the Haustafel section. Similarly, the command to 'honour the Emperor', which immediately precedes the Haustafel, engenders a rich discussion of the text's socio-political implications. Holmas asserts that the distribution of strategically-placed prayer notices and prayers throughout Luke-Acts serves a twofold purpose. First, it is integral to Luke's project of authenticating the Jesus-movement as accredited by Israel's God. Holmas shows that Luke presents a consistent pattern of divine affirmation and redemption attending the tenacious prayers of the faithful ones throughout every major phase of his narrative — in turn demonstrating continuity with the pious Israel of the past. Secondly, most importantly the 'ultimate' purpose of Luke 's emphasis on prayer is didactical. In Luke's gospel Jesus summons his disciples (and implicitly his readers) to confident and persistent prayer before the Eschaton, assuring them of God's readiness to answer their entreaties. Paul as Missionary: Identity, Activity, Theology and Practice takes the view that before anything else Paul must first and foremost be identified as a 'missionary'. Using the entire Pauline corpus the contributors to this volume assess what Paul's correspondence can tell us about how he perceived his role and identity. The work comprises four parts: in section one, Paul's identity as priest, eschatological herald, and missionary-pastor are explored while in part two topics such as the apostle's activity among pagans, his suffering, and Paul 's 'missionary message' to the church at Rome are considered. Section three comprises essays on the Spirit as the governing dynamic, the glory of God as the apostle's missionary goal, and the importance of Paul's Christology in shaping his mission to the Gentiles. Finally, part four addresses Paul's missionary praxis, including his support of his missionary enterprise. Stefanos Mihalios examines the uses of the 'hour' in the writings of John and demonstrates the contribution of Danielic eschatology to John's understanding of this concept. Mihalios begins by tracing the notion of an eschatological time in the Old Testament within expressions such as 'in that time ' and 'time of distress,' which also appear in the book of Daniel and relate to the eschatological hour found in Daniel. Mihalios finds that even within the Jewish tradition there exists an anticipation of the fulfillment of the Danielic eschatological time, since the eschatological hour appears in the Jewish literature within contexts that allude to the Danielic end-time events. Mihalios moves on to examines the Johannine eschatological expressions and themes that have their source in Daniel, finding evidence of clear allusions whenever the word 'hour' arises. This book is the first ever collection of scholarly essays in English devoted specifically to the theme of the expression 'son of man'. It describes the major competing theories which have addressed questions such as: What is the original Aramaic expression which lies behind the Greek phrase, and what was its original connotation? How do the gospel writers use the expression 'son of man'? Is it a Christological title, pregnant with meaning, much like the titles son of God, Christ/Messiah, and son of David? Is it used as a way of designating Jesus as a human being of unique redemptive significance? Or does it rather originate in a nuanced use (obscured in Greek translation) of an Aramaic expression used in place of the first person pronoun, as an indefinite pronoun, or for generic statements about human beings? Lukan scholars offer varying responses to the issue of divergent viewpoints in the gospel regarding the identity of Jesus, wealth, women, and the emphasis on doing vis-á-vis hearing. Many forms of criticism attempt to explain or harmonize these apparent contradictions. Conversely, Raj Nadella argues that there is no dominant viewpoint in Luke and that the divergence in viewpoints is a unique literary feature to be celebrated rather than a problem to be solved. Nadella interprets selected Lukan passages in light of Bakhtinian concepts such as dialogism, loophole, and exotopy to show that the disparate perspectives, and interplay between them, display Luke's superior literary skills rather than his inability to produce a coherent work. Abasciano builds upon his previous LNTS volume, Paul's Use of the Old Testament in Romans 9.1-9, continuing the project begun in that volume and its intertextual methodology. 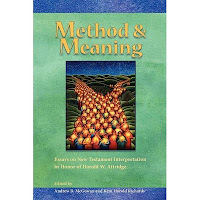 This method incorporates into a thorough traditional exegesis a comprehensive analysis of Paul's use of Scripture against the background of interpretive traditions surrounding the texts alluded to, with great emphasis placed on analyzing the original contexts of Paul's citations and allusions. Such an intertextual exegesis is conducted in Romans 9:10-18 with an awareness of the broader unit of chapters 9-11 especially, and also the epistle as a whole. Conclusions for the meaning of these passages and their theological significance are drawn. Allan McNicol examines the longstanding tension between the author of Revelation's description of the destruction of unrepentant nations early in the book in contrast with their final experience of salvation in Rev 21.24-26. McNicol examines how the author of Revelation interprets and re-fashions both scripture and the myths of the age in order to lay out his vision of redemption — leading to his ultimate conclusion that human political power (Rome) will crumble before the influence of the crucified Jesus. Through careful attention to references to the 'pilgrimage to the Gentiles' in prophetic literature, McNicol is able to draw valuable conclusions as to how the core tension examined may be resolved.